Laggies (2014): Oh, yeah, Seattle. 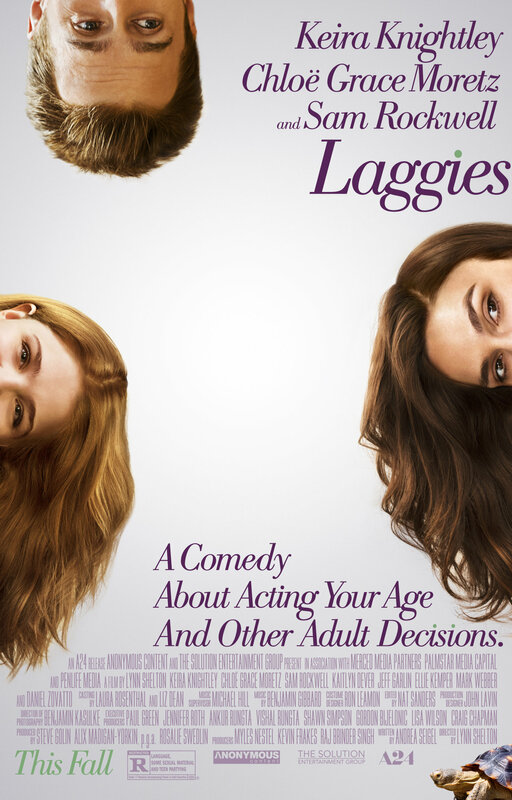 So, my laptop is broken, and this is being written from a Kindle (senior year of college is hard with a broken laptop), but I simply had to urge everyone to go watch Laggies. Guys. It was filmed in glorious Washington. My beloved home is all over it. A girl I know is an extra in it. Keira Knightley's character is named Megan (cough cough my real name cough cough). SAM ROCKWELL is in it! Go see it. It's not necessarily a life-changing great film--unless it is. I mean, there is an insanely talented cast (Chloe Grace Moretz, queen of my heart) and crew, and evergreen trees everywhere. What more could you want?! SAM ROCKWELL DOES NOT DANCE IN THIS FILM. I don't understand how that's possible. It must have been accidentally cut. Maybe, there was a post-credits scene that I should have waited for?! I just don't even know anymore. But, despite this grievous error, there is so much to love in this charming, fun movie. No rain though, which was a little odd. And, Sam's character carried an umbrella around which was super funny. But, whatevs. Go chill and watch this movie and then move to Seattle and feel better about life, because trees.